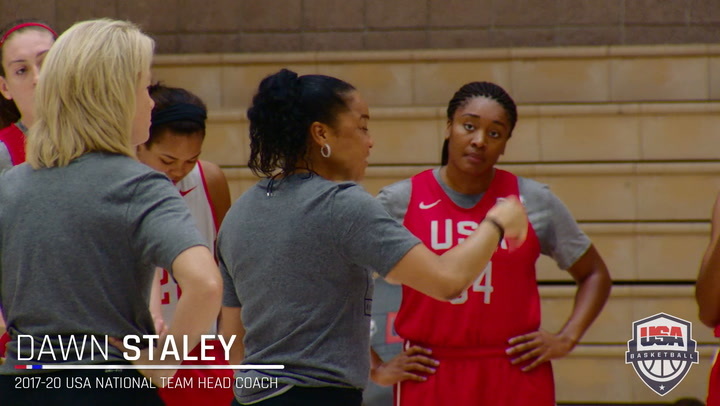 Thirty-five of the nation’s best, young basketball players have accepted invitations to attend trials for the 2016 USA Basketball Women’s U17 World Championship Team. Trials will take place May 26-30 at the United States Olympic Training Center in Colorado Springs, Colorado. The selected team members will represent the USA at the 2016 FIBA U17 World Championship June 22-July 2 in Zaragoza, Spain. The invitee’s roster includes all 12 players who helped USA Basketball to a bronze medal at the 2015 FIBA Americas U16 Championship this past summer, including: Jayda Adams (Mater Dei H.S./Irvine, Calif.); Desiree Caldwell (Frenship H.S./Lubbock, Texas); Aquira DeCosta (St. Mary's H.S./Stockton, Calif.); Andra Espinoza-Hunter (Blair Academy, N.J./Ossining, N.Y.); Destiny Littleton (The Bishop's School/San Diego, Calif.); Lauryn Miller (Kirkwood/Kirkwood, Mo. ); Alexis Morris (Legacy Christian Academy/Beaumont, Texas); Valencia Myers (Solon H.S./Solon, Ohio); Sedona Prince (Liberty Hill H.S./Liberty, Texas); Honesty Scott-Grayson (Blair Academy/Brick, N.J.); Bexley Wallace (Pickerington Central H.S./Pickerington, Ohio); and Jade Williams (Prestonwood Christian Academy/The Colony, Texas). An additional 15 invitees took part in trials for the 2015 USA Women’s U16 National Team: Caitlin Bickle (Cactus Shadows H.S./Cave Creek, Ariz.); Rellah Boothe (IMG Academy/Ocala, Fla.); Jenna Brown (The Lovett School/Marietta, Ga.); Chloe Chapman (Our Lady of Good Counsel H.S./Mitchellville, Md. ); Charli Collier (Barbers Hill H.S./Baytown, Texas); Amira Collins (Paul VI Catholic H.S., Va./White Plains, Md. ); Maya Dodson (St. Francis H.S./Alpharetta, Ga.); Katlyn Gilbert (Heritage Christian H.S./Indianapolis, Ind. ); Alexis Gordon (L.D. Bell H.S./Fort Worth, Texas); Zarielle Green (Duncanville H.S./Dallas, Texas); Destanni Henderson (Fort Myers H.S./Fort Myers, Fla.); Lindsey Jarosinski (Montini Catholic H.S./Medinah, Ill.); Kasiyahna Kushkituah (St. Francis H.S./Austell, Ga.); Mykasa Robinson (Paul G. Blazer H.S./Cattlesburg, Ky.); and Christyn Williams (Central Arkansas Christian School/Little Rock, Ark.). Rounding out the 2016 invitees roster are: Mikayla Boykin (Clinton H.S./Clinton, N.C.); Samantha Brunelle (William Monroe H.S./Ruckersville, Va.); Mikayla Coombs (Wesleyan School/Buford, Ga.); Rennia Davis (Ribault H.S./Jacksonville, Fla.); Nyah Green (Allen H.S./Allen, Texas); Loretta Kakala (Manteca H.S./Manteca, Calif.); Olivia Nelson-Ododa (Winder-Barrow H.S./Winder, Ga.); and Ashley Owusu (Paul VI Catholic H.S./Woodbridge, Va.). In addition to the invited athletes, trials were open to applicant athletes for a total of as many as 150 players expected to participate. Players eligible for this team must be U.S. citizens born on or after January 1, 1999. The complete trials roster is expected to be announced in May. 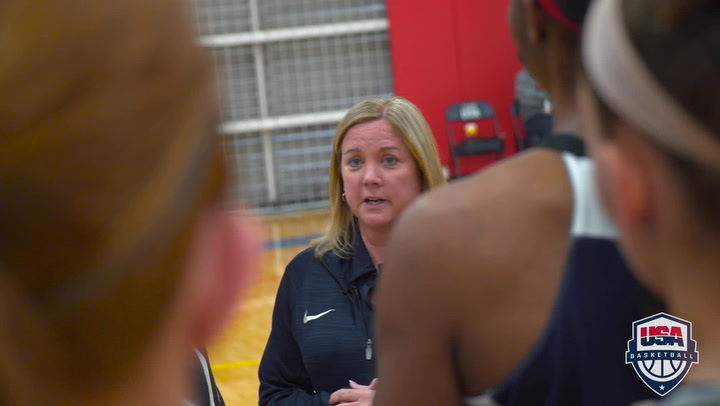 Finalists for the 2016 USA Women’s U17 World Championship Team will be announced on May 30, and they will remain in Colorado Springs for training camp through June 3. 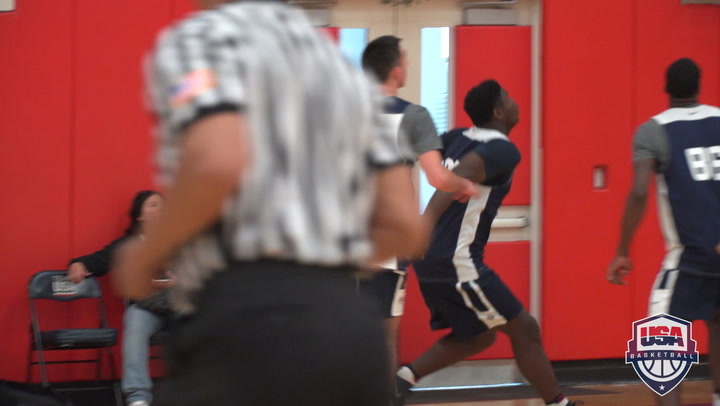 The official 12-player roster for the USA U17 World Championship Team will be announced on June 3. 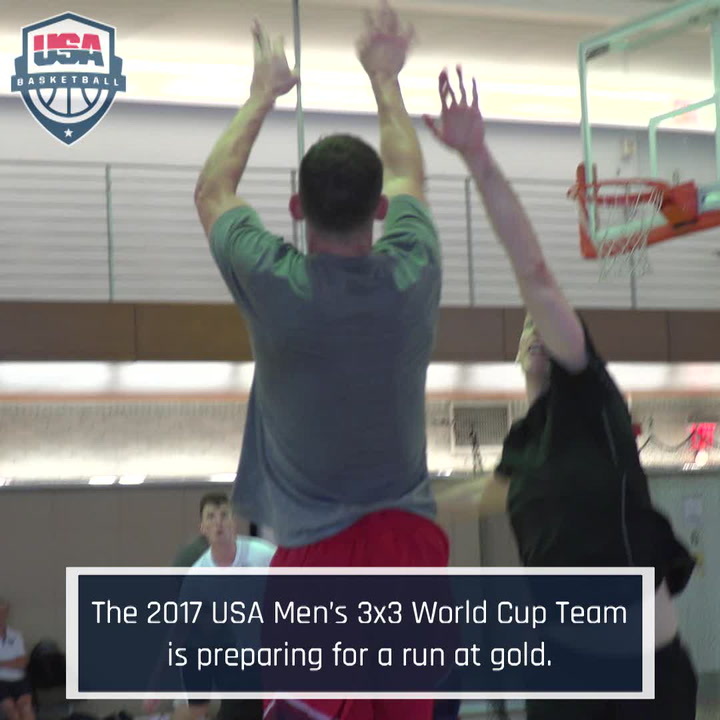 The trio helped the USA qualify for the 2016 FIBA U17 World Championship, which will be played by June 22-July 2 in Zaragoza, Spain, by virtue of a bronze-medal finish at the 2015 FIBA Americas U16 Championship. Fourteen invitees are from the high school class of 2017, 17 are from the class of 2018 and four will graduate high school in 2019. Eight invitees reside in the state of Texas; five are from Georgia; four players are from California; three are from Florida; Maryland, Ohio and Virginia each are represented by two players; and nine states feature one player, including, Arizona, Illinois, Indiana, Kentucky, Missouri, North Carolina, New Jersey and New York. At 5-foot-6, Morris is the shortest player on the roster, while Prince, who is 6-foot-7, is the tallest. Christyn Williams (Arkansas) was named as a 2016 Gatorade State Player of the Year. Boothe and Davis listed on the 2016 USA Today All-USA third team. Boothe was a 2016 Naismith Trophy All-America third team selection and DeCosta was honorable mention. Featured on the 2016 Naismith Trophy Girl’s High School Player of the Year Watch List were: Boothe, Brown, Caldwell, Collier, Collins, DeCosta, Dodson, Scott-Grayson, Nyah Green, Kushkituah, Miller, Morris, Myers, Prince, Christyn Williams and Jade Williams. The 2016 FIBA U17 World Championship with feature 16 teams from FIBA’s five geographic zones. 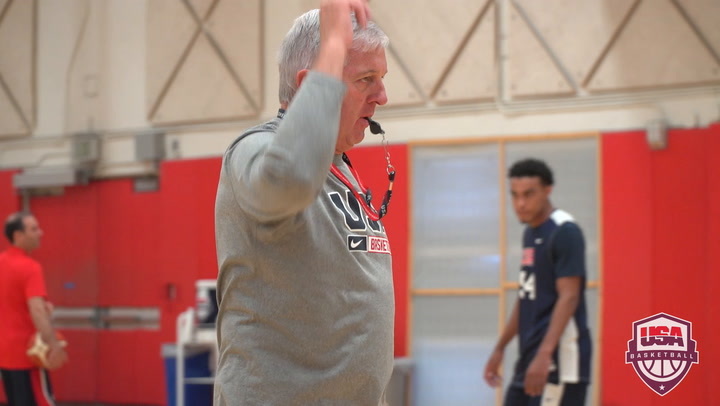 The USA will compete in Group C and will face South Korea (FIBA Asia bronze medalist) on June 22 (all times TBD), Czech Republic (FIBA Europe gold medalist) on June 24 and Italy (FIBA Europe bronze medalist) on June 25. After playing each of the teams in its preliminary round group, all teams advance to the round of 16 on June 27. Winners from the round of 16 advance to the medal round quarterfinals on June 29. The semifinals will be played on July 1 and the finals will be on July 2.